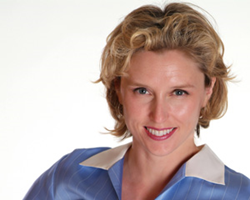 San Francisco Bay Area hair restoration surgeon, Sara Wasserbauer, M.D., will be one of the key presenters at the 22nd Annual International Society of Hair Restoration Surgery (ISHRS) Scientific Meeting in Kuala Lumpur, Malaysia from October 8 – 11, 2014. Dr. Wasserbauer has over 9 years of experience as a hair restoration surgeon and is a leading researcher in the field of hair restoration. At the ISHRS Annual Meeting, more than 500 physicians and surgical assistants from around the world will learn about the latest technological and scientific advances in treating hair loss, while earning continuing medical education (CME) credits. Dr. Wasserbauer will teach a hair transplant basics course, lead a discussion on robotic hair transplantation, present a session on brow surgery and present “Top 10 Clinical Pearls to Achieve Best Results and Happy Patients”. Dr. Wasserbauer is involved in several research studies involving new technology for hair restoration, including the Theradome laser hair growth device and previously as one of the primary investigators for the FDA trials concerning robotic hair transplantation. The Restoration Robotics™ ARTAS System is an interactive, computer assisted technique using image-guided robotics to enhance the quality of hair follicle harvesting. Operated under the direction of a physician, ARTAS has the potential to solve most of the technical challenges inherent in the manual follicular unit extraction (FUE) techniques. For the past few years, Dr. Wasserbauer studied the effectiveness of the interactive image-guided robotic system at removing hair grafts from the scalp. She will discuss her experiences at the Annual Meeting during her session on robotic hair transplantation. Dr. Sara Wasserbauer is a California-based hair transplant surgeon. She is a Diplomate of the American Board of Hair Restoration Surgery in the San Francisco Bay area, and has performed successful hair transplant surgery on thousands of people with dramatic, natural-looking results. Dr. Wasserbauer has been featured on the national television program, The Doctors and several national publications and websites. For more information, call (925) 939-4763 or visit http://www.californiahairsurgeon.com. Sara Wasserbauer, M.D., will present several sessions at the 22nd Annual International Society of Hair Restoration Surgery Annual Scientific Meeting.